The state of California has long been considered an environmental leader in this country, spearheading growth in the solar industry with more than 11 GW installed to date. Yet, it’s time for a new region to step into the spotlight. In the coming years, the Northeast of the United States is expected to see significant expansion of the commercial and industrial solar sectors, propelling it to the forefront of solar leadership in the country alongside California. Commercial solar represents a largely untapped market opportunity in the industry. While there are more than 20 GW of solar installations throughout the country, the majority of growth has occurred in utility-scale projects and the residential sector. The growth of the commercial solar sector has been hindered by the lack of standardization across projects, resulting in drawn out and complicated contracts and due diligence processes. Having to start from zero for each deal has led to high transaction costs relative to deal sizes, costs that many projects in the commercial sector cannot afford. However, this is all poised to change. 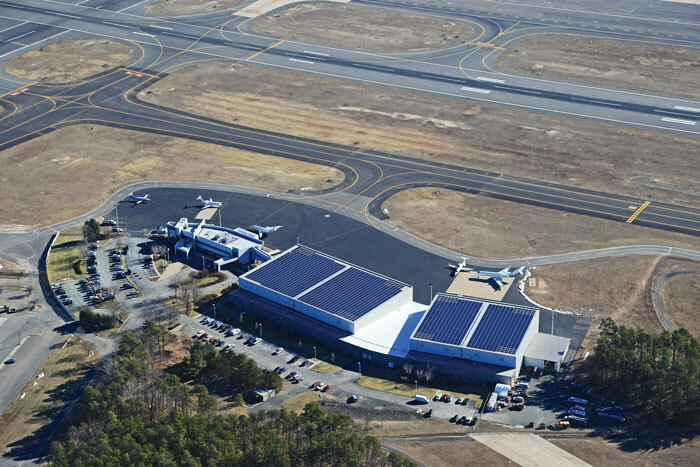 The Northeast will see a boom in commercial solar installations in the coming years because the combination of available roof space, high electricity prices and state incentive programs have created ideal market conditions for this sector to thrive. Having the appropriate infrastructure available to install solar is critical for the commercial sector, as panels are typically placed on warehouse or commercial property rooftops. With mid-size commercial installations ranging from 50 kW to 2 MW, solar installations require at least 5,000 sq ft of roof space. In addition to total rooftop area, other characteristics that affect the viability of a solar installation include structural layouts, shading, the presence of mechanical equipment and the configuration of the roof. RELATED: Is Standardized Solar Permitting The Next Industry Breakthrough? Over 274,637 commercial buildings in the Northeast currently fit the site parameters required for a midscale commercial solar facility. Collectively, these buildings can produce 94,733 MW of renewable energy. The opportunity to develop solar becomes immensely more appealing when commercial building owners can utilize existing assets and save money, without needing to change the status quo. There is also increased motivation to act when electricity is expensive. In the Northeast, it is common to see electric utility rates exceed $0.15 per kWh. This is 36 percent higher than the average national electricity price for commercial usage, which is $0.11 per kWh. Higher than average electricity rates motivate asset owners to identify more economically compelling alternatives. One of the biggest obstacles with commercial solar is inertia, as building owners generally have a tendency to stick to familiar habits. However, when there is a reason to look for an alternative due to extenuating circumstances — such as high electricity bills — commercial solar becomes an option. With leases, loans and power purchase agreements (PPAs), asset owners have the ability to lock in the price of electricity per kWh, hedge a necessary expense and ensure that the rate will remain lower than the electric utility rate for the next 20 to 25 years. The final motivating factor that incentivizes commercial property owners to install solar is state government incentives, which strengthen the already attractive value proposition. Solar Renewable Energy Certificates (SRECs) are among the most successful incentive structures, as they are market instruments that offer monetary incentives for energy generation that does not produce air pollution or carbon dioxide emissions. The state of Massachusetts has a particularly strong market for SRECs, especially encouraging growth in rooftop and community solar installations. Commercial developers can offer a PPA of $0.12/kWh against the statewide utility price of $0.14/kWh. Wiser Capital estimated that with these contracts, commercial projects could save owners nearly $1 million over the PPA’s 25-year term. These market conditions have created a ripe environment for commercial solar installations, yet penetration levels remain low. This is partly due to limited access to capital, which thus far has been monopolized by big banks. Traditional lenders are oftentimes unwilling to fund small and midsize commercial projects, as the projects cannot support the fees and therefore the cost of lending capital exceeds the benefit of conducting the deal, leaving numerous projects without access to funding. As we see an increased demand for projects coming out of this region, there will also be a larger focus on innovation to provide alternative financing options for commercial projects. The Northeast is already seeing increased activity in alternative ownership and funding options, such as community solar, allowing commercial solar to continue to grow moving forward. New technology-enabled financing solutions will facilitate access to capital and open the door for the small and midsize businesses to access the potential of distributed generation solar. Graham Smith is CEO of Open Energy.